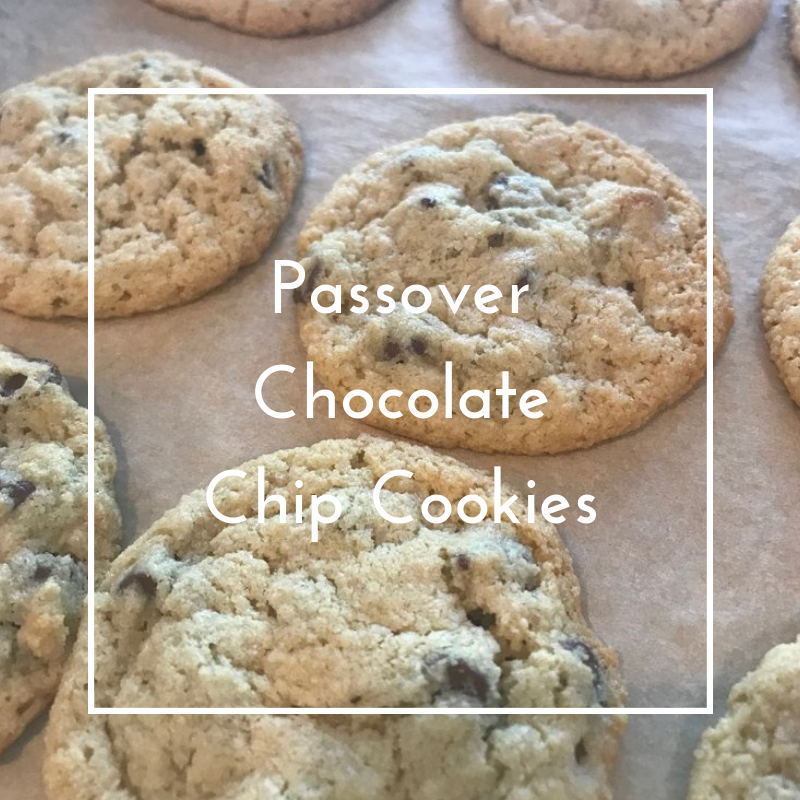 I’ll admit it-no way I can go 8 days without chocolate chip cookies and I have tried a few renditions over the years of Passover Chocolate Chip Cookies and they have always been passable. But this year-I decided to give it one more try and I came upon this recipe. I modified it ever so slightly and here we have a delightful kosher for Passover Chocolate Chip Cookie that stands on it’s own and I will happily eat these every day during Passover and beyond! 1. Cream butter, brown sugar and white sugar until fluffy (can be done by hand or electric mixer) Add egg and vanilla and mix well until smooth. 2. In a separate bowl, whisk baking soda, salt and almond flour. Add these dry ingredients to the sugar mixture. Mix until dough is formed, add chocolate chips. 3. Prepare baking sheet with parchment paper. Scoop into tablespoon sized balls and bake for 11-13 minutes until they are golden around the edges.